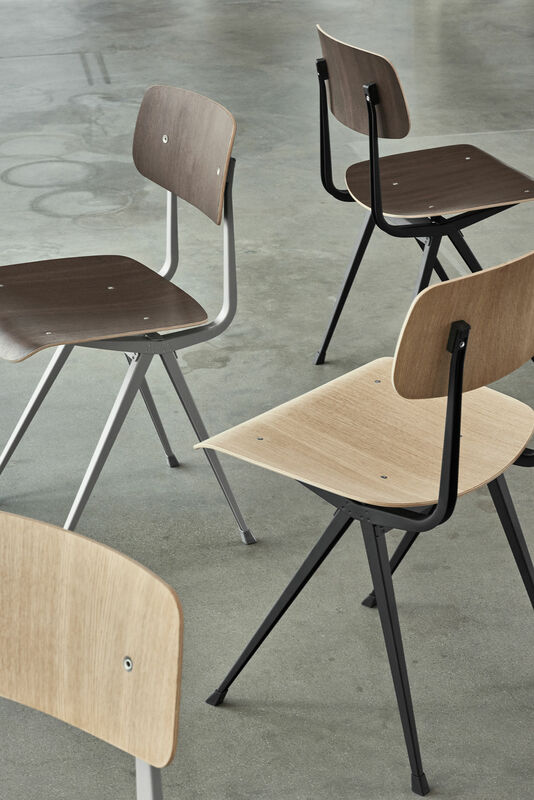 The Result Chair is an icon of vintage and industrial design. 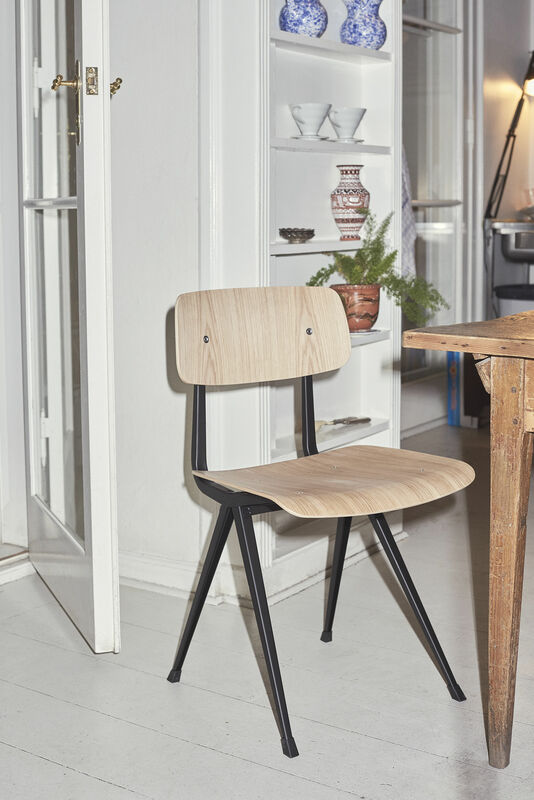 It was designed in the 1950's by two Dutch masters of design: Wim Rietveld, son of designer and architect Gerrit Rietveld and Friso Kramer, considered the Dutch Jean Prouvé. 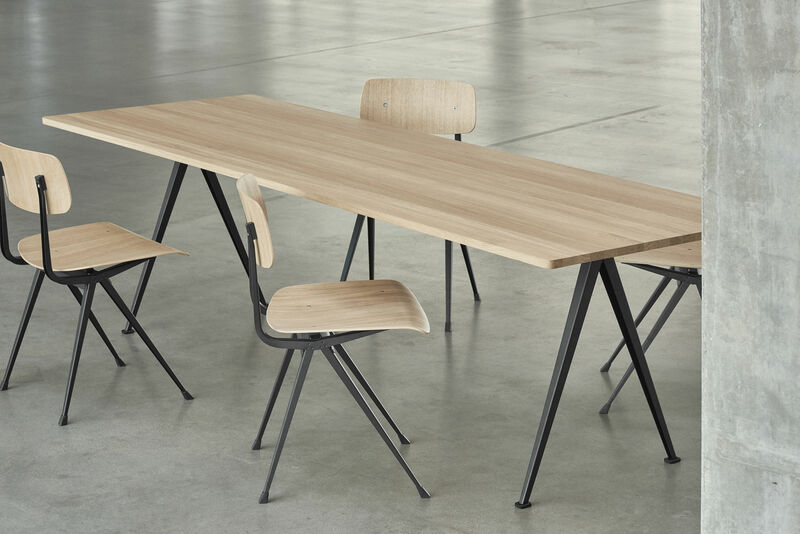 They wanted to design rational and minimalist furniture. 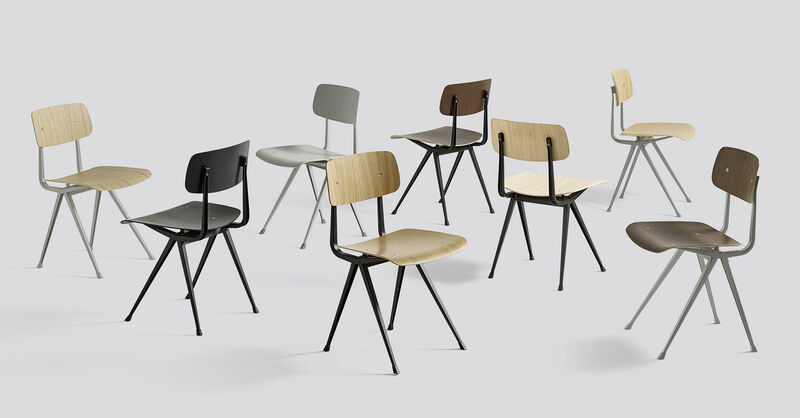 Released in 1958, the Result chair was a great success and brought designers to the forefront of the international scene. 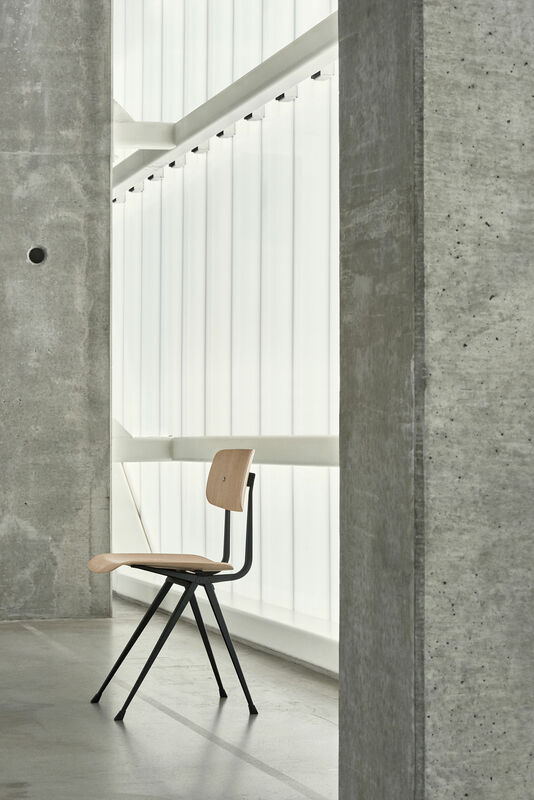 This simply designed chair is extra strong, light and practical. 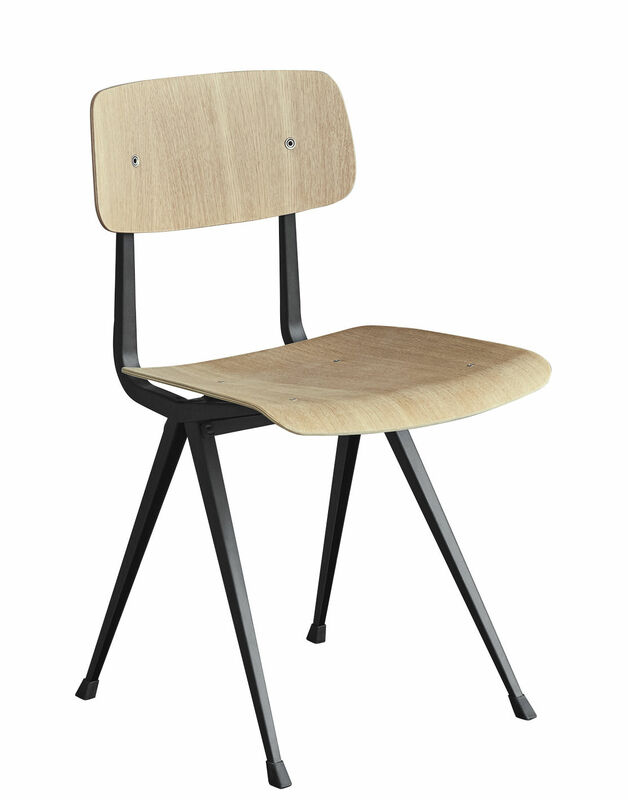 It was used in Dutch schools for almost two decades, from the 1960's to the end of the 19870's. 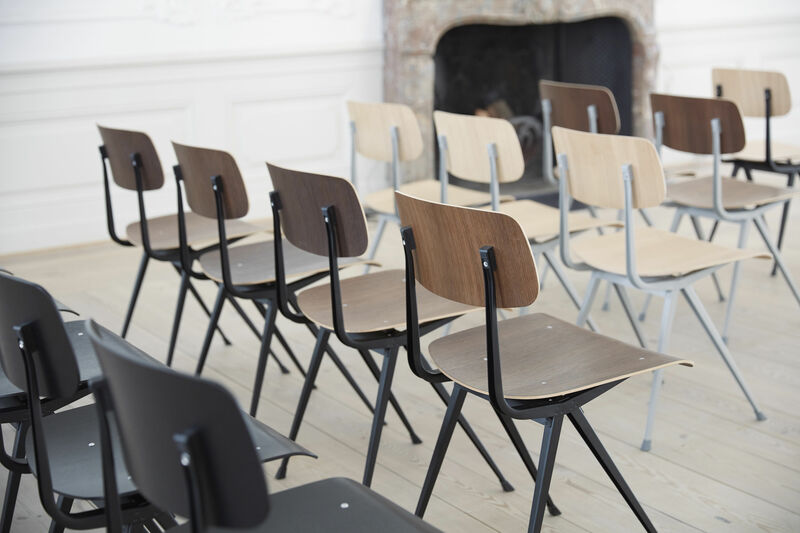 The Result chair combines a plywood seat with a folded steel structure. 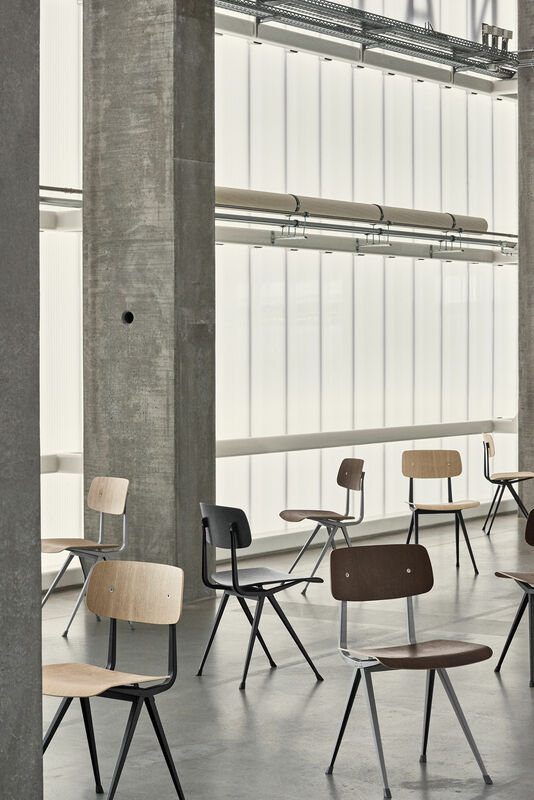 The metal work is reminiscent of Jean Prouvé's furniture, so admired by Kramer, and which certainly influenced him. The seat and back have curved lines. This chair looks so simple and that is precisely its strength. Nothing is superfluous. When you keep only the essential, the essence remains: A functional and timeless design.